AutoRunWizard.com - AutoRun Wizard FAQ - Can I have my cd autorun to my company website? Yes! 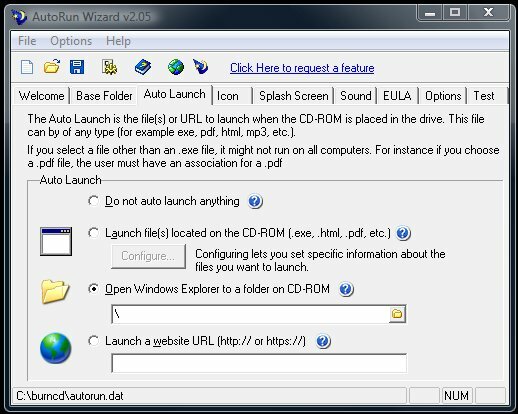 AutoRun Wizard has an option on the AutoLaunch tab that allows you to autorun a website URL. This website URL can be http:// or https:// protocols. When the user inserts the CD-ROM into the computer, the autorun will load to the website specified.